When Nikola Tesla tested his mighty coil it created massive lightning bolts 135 feet long. Miles away, thunder from the blasts boomed, sparks bounced along sidewalks, electricity leapt from water taps, and zapped butterflies flew dizzily surrounded by blue flame. His energy knew no bounds. The creative energy of the Mad Scientists at Sixpoint is a similar phenomenon. It has revitalized a dilapidated garage in Red Hook, Brooklyn to create delicious and innovative liquid, and the contagious energy has started bouncing across the country. In honor of the original mad scientist we kegged our newest formulation on July 10th, what would have been his 158th birthday. The latest in the new Cycliquids series is a draft formulation called Sixpoint TESLA. 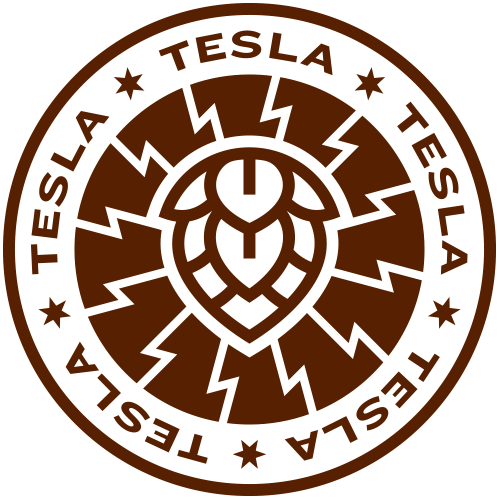 Sixpoint TESLA will resonate across our distribution system on draft. With the latest installment in a line of new releases, Sixpoint’s magnetic formulations continue to be delivered with high frequency. Find TESLA on draft with our App and let the sparks fly.